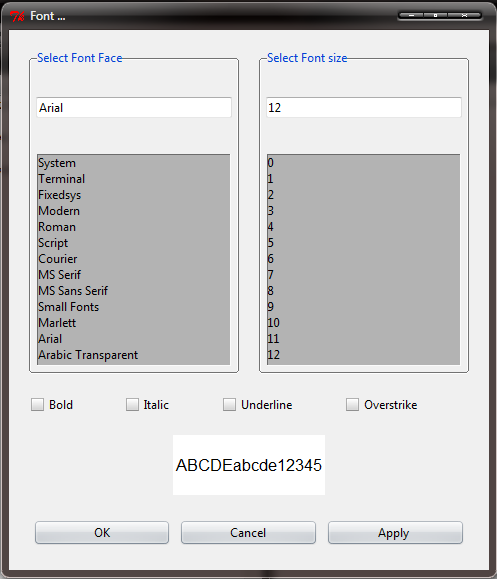 Fonts are Normal Text Characters use for Representing Text Data. Font provide us different visual style for representing our text character in Text Editor. So, Today In This Post, I am Going To Show you how to create automatic font selecting dialog box that can configure Tkinter Text Widget Font Options Automatically. Friends, This Is our 12th Tutorial Of Python MagicStick Project But, if you are a new visitor, Then I will suggest you to read our tutorials number wise. because in these tutorial series i am showing how to use python tkinter module to create a real life application. For this purpose we will use tkFont module. This Module Provide us ability of doing changes in Tkinter Text Widget Automatically. 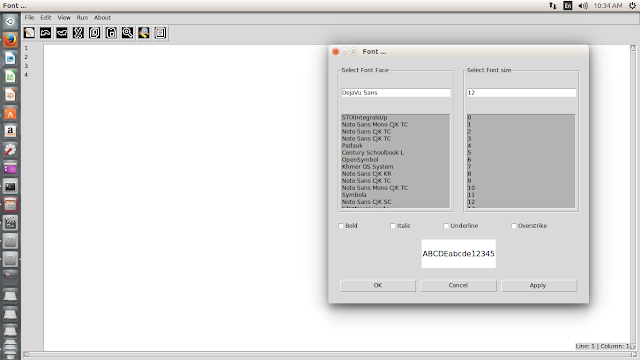 This Module works like a Automatic Interface between Tkinter Text Editor Font Options and The Usee. In Simple Words, This module is also very easy, compitable and stable for changing Tkinter Text Widget Font Options. To make this script easy to understand we will create a separate empty script "FontChooser.py" in "magicsticklibs/" folder and write our codes in it. In This Script, First, We Will Create A Simple Class of Tkinter Toplevel Widget. And Then, we will add Our Different Functions and Other Tkinter Widget On it. "from Graphics import tkFont, ttk"
Place "FontChooser.py" In Our "MagicStick/magicsticklibs" Project Directory. Add "FontChooser.py" Function in Our "ConfigSettings.py" because in this project, "ConfigSettings.py" is responsible for joining libs in main stream. Boom! Our FontChooser.py script is now ready to use and also, this script is now connected with MagicStick Project Main stream. To run this script in main stream of project. just run "main.py" script or you can also run this script alone and parallel without touching project main stream just run "FontChooser.py".